Not a lot happens in this chapter, but it sure is emotional. …that tiny blade on the left. Makes me think he’s a chef now… With a meat cleaver. 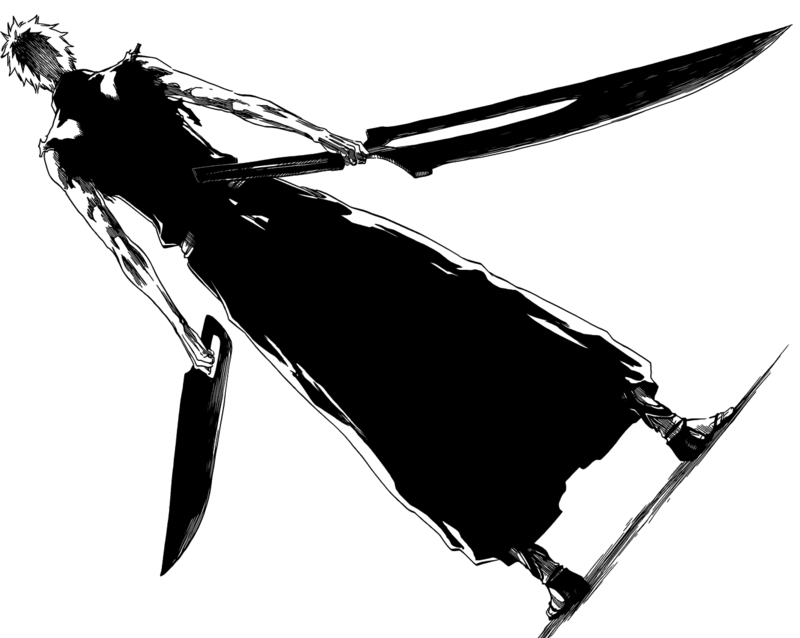 Funny thing is that the “Old Man” is the small blade and the “Hollow” is the long one. I’m also wondering why they mentioned before about the Asauchi turning white. I was assuming the blade would be white, too, but that isn’t the case at all. Another thing to analyze: his sleeves are gone. Maybe they burned off since the blade was too hot. Maybe it’s a new form? It’s probably the first one. Oh well, see you next chapter. This entry was posted on June 20, 2013 at 8:00 am and is filed under Bleach, Manga with tags Anime, Bleach, chapter, Manga, spoiler. You can follow any responses to this entry through the RSS 2.0 feed. You can leave a response, or trackback from your own site.